Heat up De Wafelbakkers Mini Pancakes according to the microwave instructions on the packaging. Cut strawberries into thick slices, about ½ inch. Keep a handful of whole, de-stemmed strawberries to top your stacks with. Now for the fun part – layering! 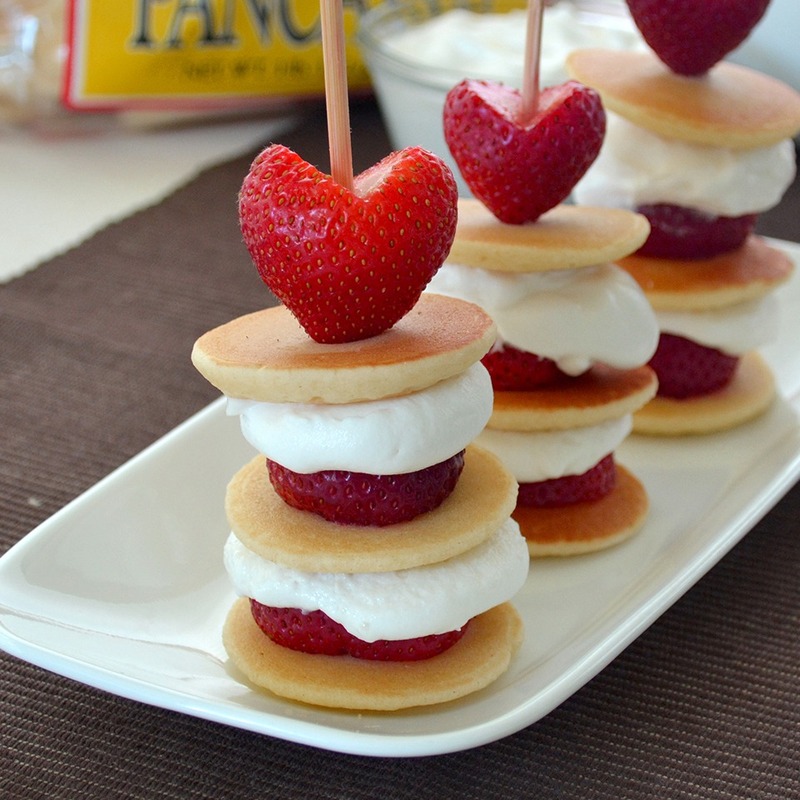 Layer one mini pancake with a strawberry slice, then top with a spoonful of whipped cream topping. Repeat with a second layer, and top it off with a 3rd mini pancake. Skewer the whole stack and add a whole, de-stemmed strawberry on top to finish.